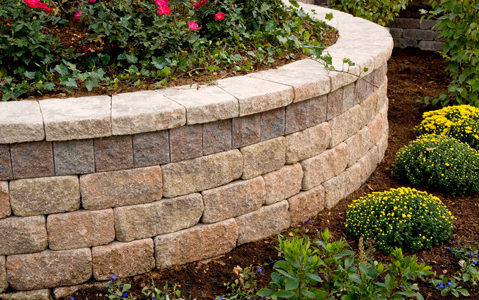 Unilock Pavers add a stunning and sophisticated look to any landscape. Maintaining the integrity of your landscape is just as important as keeping it beautiful. That’s why AreA Landscape Supply offers erosion control products to protect your landscape against rain, wind and other elements that can weaken and destabilize it over time. *Disclaimer: QuickGRASS PRO is a system for erosion control and re-vegetation on slopes and channels. American Excelsior Company (AEC) believes that the information contained herein to be reliable and accurate for use in erosion control and re-vegetation applications. 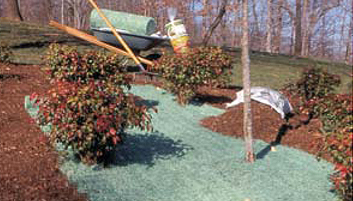 However, since physical conditions vary from job site to job site and even within a given job site, AEC makes no performance guarantees and assumes no obligation or liability for the reliability or accuracy of information contained herein for the results, safety or suitability of using QuickGRASS PRO, or for damages occurring in connection with the installation of any erosion control product whether or not made by AEC or its affilliates, except as separately and specifically made in writing. QuickGRASS is a trademark of American Excelsior, Inc.